I thoroughly tested the quality of my beer this week by giving bottles to the connoisseurs in my family, and received feedback such as “wow that’s good” and “holy cow that’s amazing”. Several others said it was the best beer they ever tasted. I think they were a little worried about what they were about to drink, then surprised. Some of them probably exaggerated a bit too. One recipient stated it was a lot better than Bud Light (which is understandable since it’s an entirely different style of beer), while another warned a family member who owns a brewery of his impending demise. Consensus: It was pretty damn good. I appreciate the compliments on my beer, but thought I would share that for a number of reasons I do not believe there is such thing as a “best beer in the world”. The most important reason should be apparent to anyone who considers themselves a connoisseur of something. That reason being – if there is such thing as a best ______ in the world then you would only eat/drink/consume that and would not be actually be a connoisseur. Crazy beer nuts. 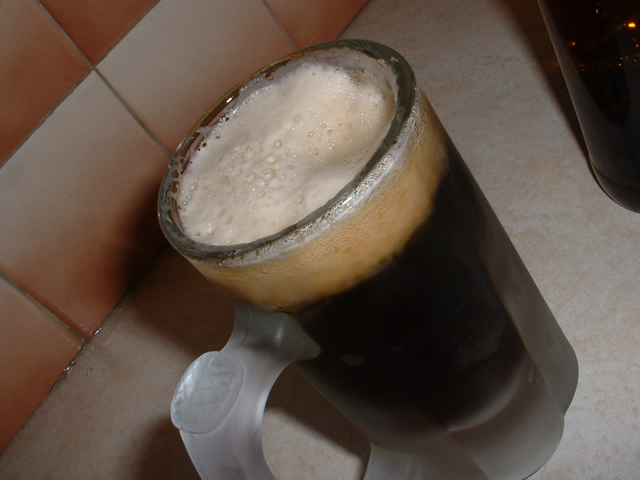 I think the best thing about all consumable things I love (such as beer or coffee or music) is that there are so many excellent options to choose from that I never really have to try the same thing twice. That’s how I feel about beer as well. 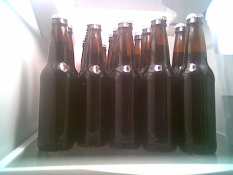 I have 6 bottles left from my first batch of beer, and once I finish them I will probably never make that recipe again (unless of course I forget I already tried it). 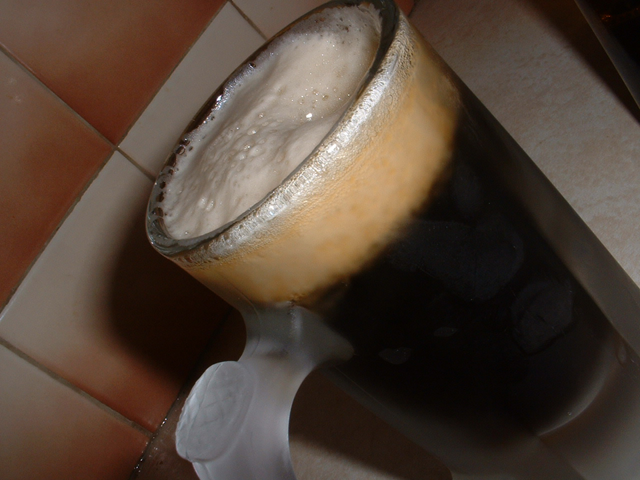 I am going to start my next batch – an espresso stout – this weekend, so I am researching different recipes. 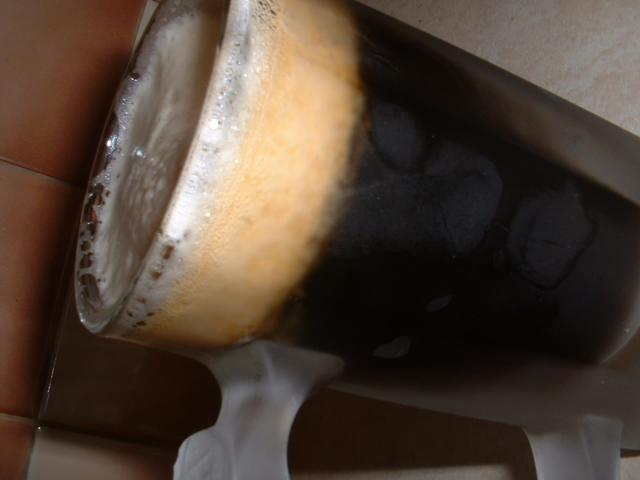 If you have successfully made coffee beer then I could use some tips, if not then wish me luck. I will be back this weekend with baby details and pictures from my second brew.